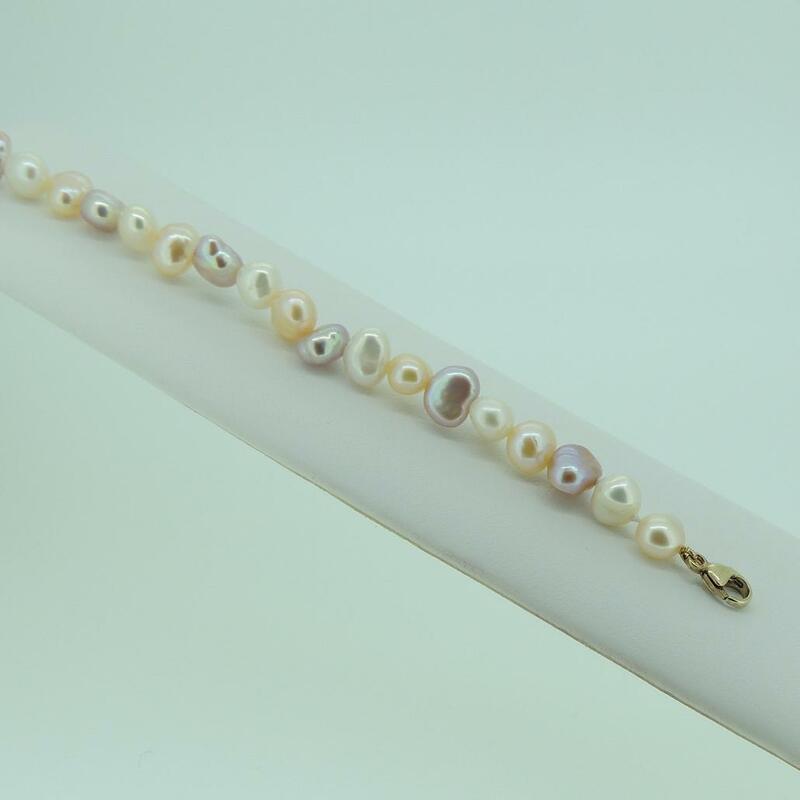 Cultured freshwater 6-6,5mm multicolour baroque pearl bracelet strung on silk with knots between pearls. Bracelet is available with silver or gold clasps. Also we offer a matching necklace.